, a nobleman of Venice, who died in the beginning of the sixteenth century, was very useful to his country; served it as a commander more than once; and was, in 1510, the means of reconciling that republic and pope Julius II. though he had the misfortune to he carried off by a violent fever at Rome in 1513, before the treaty was concluded between them. He was also a man of learning; and published a translation of “Alexander Aphrodiseus de Anima.” His letters are likewise well written; which made Erasmus say of him, that he was capable of any literary exertion, if his mind had not been dissipated by other employments. 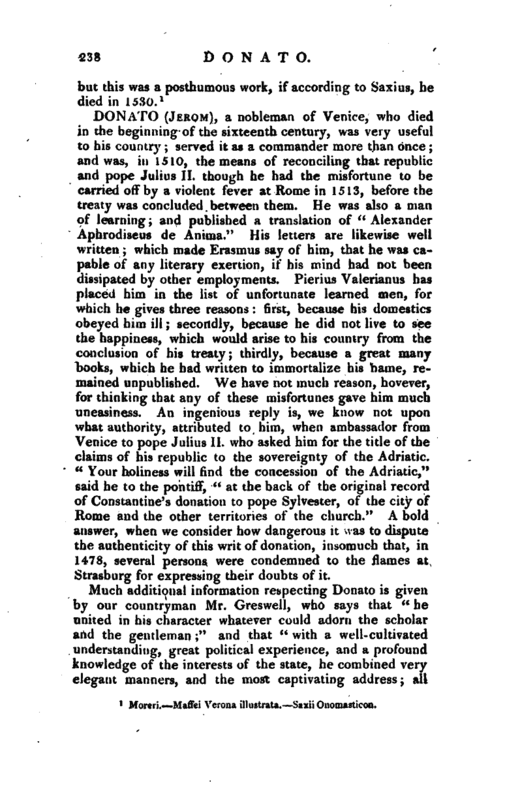 Pierius Valerianus has placed him in the list of unfortunate learned men, for which he gives three reasons: first, because his domestics obeyed him ill; secondly, because he did not live to see the happiness, which would arise to his country from the conclusion of his treaty; thirdly, because a great many books, which he had written to immortalize kis name, remained unpublished. We have not much reason, hovever, for thinking that any of these misfortunes gave him much uneasiness. An ingenious reply is, we know not upon what authority, attributed to him, when ambassador from Venice to pope Julius II. who asked him for the title of the claims of his republic to the sovereignty of the Adriatic. 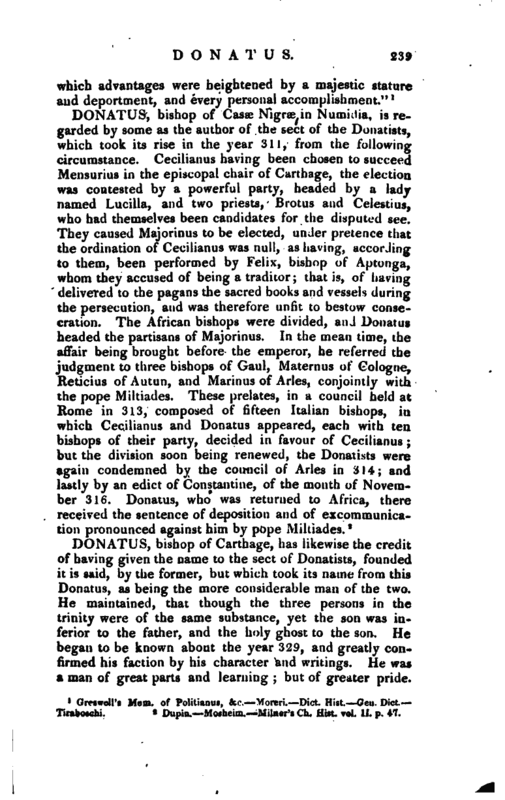 “Your holiness will find the concession of the Adriatic,” said he to the pontiff, “at the back of the original record of Constantine’s donation to pope Sylvester, of the city of Rome and the other territories of the church.” A bold answer, when we consider how dangerous it was to dispute the authenticity of this writ of donation, insomuch that, in 1478, several persons were condemned to the flames at Strasburg for expressing their doubts of it. Greswell’s Mem. of Politianus, &c.—Moreri.—Dict. Hist.—Gen. Dict.— Tiraboschi.